My friend KL sent me this press release from the University of Colorado at Boulder. The team studied a plant-eating stick insect species from California called Timema cristinae known for its cryptic camouflage that allows it to hide from hungry birds, said CU-Boulder Assistant Professor Samuel Flaxman. T. cristinae comes in several different types — one is green and blends in with the broad green leaves of a particular shrub species, while a second green variant sports a white, vertical stripe that helps disguise it on a different species of shrub with narrow, needle-like leaves. While Darwinian natural selection has begun pushing the two green forms of walking sticks down separate paths that could lead to the formation of two new species, the team found that a third melanistic, or brown variation of T. cristinae appears to be thwarting the process, said Flaxman. The brown version is known to successfully camouflage itself among the stems of both shrub species inhabited by its green brethren, he said. Using field investigations, laboratory genetics, modern genome sequencing and computer simulations, the team concluded the brown version of T. cristinae is shuttling enough genes between the green stick insects living on different shrubs to prevent strong divergent adaptation and speciation. The brown variant of the walking stick species also is favored by natural selection because it has a slight advantage in mate selection and a stronger resistance to fungal infections than its green counterparts. A paper on the subject appeared in a recent issue of the journal Current Biology. 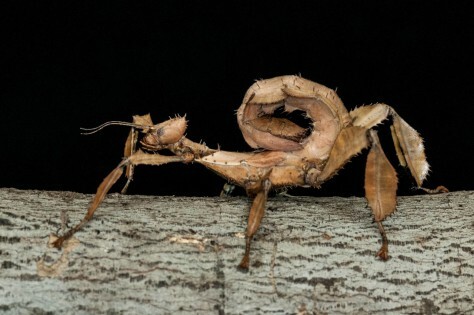 […]“This movement of genes between environments slows down the genetic divergence of these stick insect populations, impeding the formation of new species,” said Aaron Comeault, a former CU-Boulder graduate student and lead study author who conducted the research while at the University of Sheffield. So, in the past I had read that natural selection can act as a stabilizing force in nature – keeping the organism operating within a type. This study seems to be confirmation of that. That’s a problem for naturalists, who believe that mutations and selection can drive evolution of new body plans or organ types (macro-evolution). I could even agree that mutation and selection drives changes within a kind, but that still wouldn’t explain how one kind changes into another kind. But there are other problems with generating macro-evolutionary change. Also related to the problem raised by the study is this problem of genetic drift, which also works against the preservation of beneficial mutations. Evolutionary biologists often assume that once mutations produce a functionally advantageous trait, it will easily spread (become “fixed”) throughout a population by natural selection. For example, imagine a population of brown-haired foxes that lives in a snowy region. One fox is born with a mutation that turns its fur coat white, rather than brown. This fox now has an advantage in hunting prey and escaping predators, because its white fur provides it with camouflage. The white fox survives, passing its genes on to its offspring, which are also adept at surviving and reproducing. Over time, the white-haired trait spreads throughout the population. I guess the point of this is that if someone wants to convince you that macro-evolution is possible through the mechanisms of random mutation and natural selection, then they have some work to do. And it’s more work than just asserting that it happened. People who are technical may benefit from reading Michael Behe’s book “The Edge of Evolution”, which studies how likely it is to get several positive adaptations in a row within a reasonable period of time. 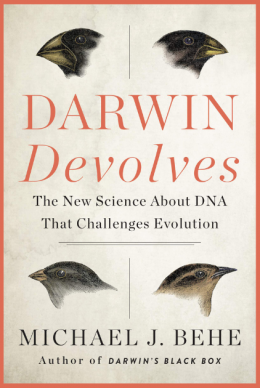 UPDATE: A biologist friend tells me that “whether natural selection is driving speciation or preventing it, in neither case is it explaining how these organisms came to be in the first place. It only explains how existing organisms interact with their environment. And this can be explained at least as well through intelligent design as through naturalistic processes.” She also says that natural selection can drive speciation, but still within a kind. Previous PostTed Cruz and Mike Lee go after Obama administration for intimidating pro-lifersNext PostWhich candidate is the best at defending religious liberty: Trump or Cruz?